The photo above represents the fulfillment of a dream. 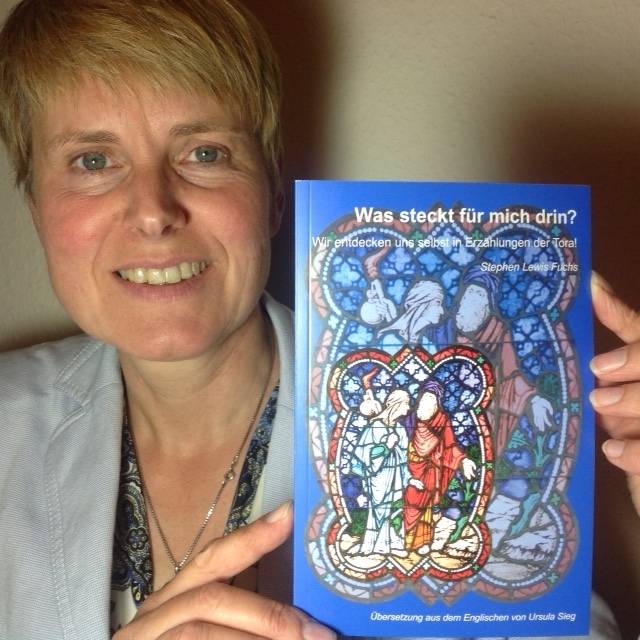 Pastor Ursula Sieg undertook to translate and see to the publication of a German edition of my book, What’s in It for Me? Finding Ourselves in Biblical Narratives. 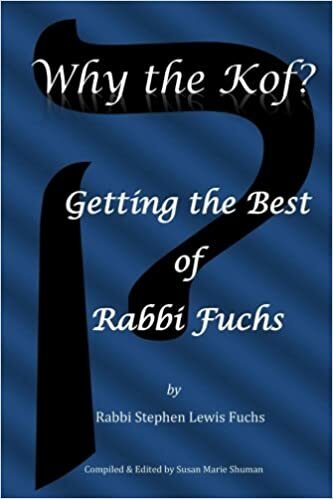 On a trip to the United States Ursula and her husband Pastor Martin Pommerening and I spent hours in the magnificent sanctuary of Congregation Beth Israel with professional photographer Lena Stein searching for just the right cover art for the German edition. The photo they chose—most appropriate—is of Abraham and Sarah beginning the faith journey that launched not only the Jewish religion but Christianity and Islam as well. In order to bring this project to fruition, Pastor Sieg enlisted the expert editorial skills of Dr. Serafine Kratzke and established a publishing house that she named “Mutual Blessing Edition.” Pastor Sieg’s passion for creating greater inter-religious harmony and her belief in the value of What’s in It for Me? inspired her to put many months of effort into the publication. It all began in the summer of 2012 when Pastor Sieg and I met during the time she studied at Hartford Seminary while on Sabbatical from her post as Head of School-Church Relations in a district of the Lutheran Church in Northern Germany. Neither of us realized at that time how mutually beneficial our conversations would become. A year later Pastor Sieg then visited Vickie and me for Chanukah while I was serving as Visiting Rabbi at Congregation Beth Shalom in Milan, Italy. Pastor Sieg made a very positive impression on all of the congregants who met her. There our conversations deepened, and she began making arrangements to bring Vickie and me to northern Germany for ten weeks the following year. In preparation for that her husband, Pastor Martin Pommerening convinced his church board to remodel their pastorate to accommodate Vickie and me in a gracious manner as their guests for ten weeks. Vickie and I will never forget looking from our balcony as Sukkot approached and seeing Ursula and Martin in the garden secretly constructing a sukkah so that we could celebrate our harvest holiday as we do at home. They then welcomed local guests to sit in the pastorate’s Sukkah! It was also our pleasure to invite them for Shabbat dinner in their own home several times. 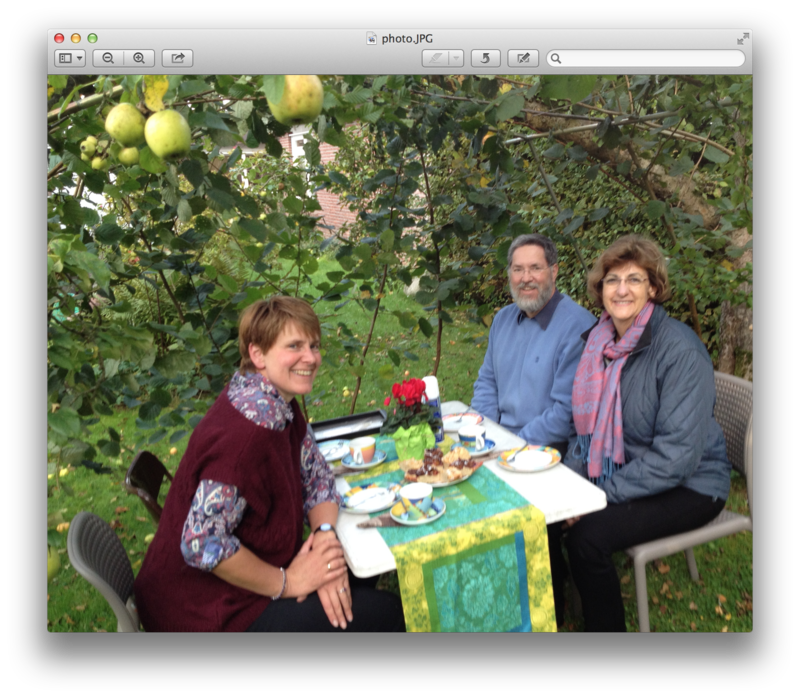 Vickie sits with our Pastor friends Ursula Sieg and Martin Pommerening in the sukkah they built for us at their home in Bad Segeberg, Germany. As a major focus of our visit Pastor Sieg conceived, created and curated a marvelous exhibit, Back Home – New Jewish life in Schleswig-Holstein, together with several students and their teacher Wolfgang Henke at the Holstenschule in Neumünster. The museum quality exhibit chronicled the life and travels of Vickie’s 94-year-old mother, Stefanie Steinberg. Born in 1921, Stefanie’s childhood came to an abrupt end when her family had to flee her native Breslau from the Nazis and settle in Spain in 1936. Six months later the Spanish Civil War broke out, and Stefanie’s family had to flee again all to different places. Stefanie lived in an orphanage in Switzerland until barely a month after her seventeenth birthday. In 1938 she and her mother boarded ship in France to begin a new life in a new country for the third time in two years. Eventually she made her way to California by herself. She reconnected there with a gentleman she met on the ship coming to the USA, Richard Steinberg. They married and settled in Los Angeles and then in San Francisco. The Holstenschule displayed the exhibition of three weeks. Hundreds of students saw it and met Vickie and me for lectures and conversation. Many of them had never before met living Jews. In other duties I served as visiting rabbi at the Jüdische Gemeinde in Kiel, preached in several Lutheran Churches and spoke at the Anne Frank Schule in Bargteheide. I also delivered the semester opening lecture of the University of Potsdam School of Jewish Theology and conducted a seminar for rabbinical students at the Abraham Geiger College in Berlin. Pastor Sieg also arranged for me to experience one of the emotional highlights of my life: Speaking at three different Kristallnacht commemoratives in Leipzig, the city where my father, of blessed memory, was arrested that fateful night. I spoke at the stream that flows through the city zoo where Jews were forced to stand while people jeered and threw mud at them, at the site of the Great Synagogue in Leipzig, burned to the ground on Kristallnacht and now a haunting memorial, and at the famous Thomaskirche where Johan Sebastian Bach once served as organist and choirmaster. Whenever I spoke in English, Pastor Sieg translated my words into German as I went along. When I wanted to deliver two of my Leipzig speeches in German, I wrote them out, and Pastor Sieg translated them for me. Then she painstakingly drilled me—over and over—on my German pronunciation. Our trip last year inspired Pastor Sieg to want us to come back again this year. Again she spent many hours over several months making all of the arrangements. This year Back Home will tour six different schools. Vickie and I will visit each of them to talk with the students. Pastor Sieg has also arranged several events promoting the German edition of What’s in It for Me? I shall once again, preach and speak in several Lutheran Churches, and it will also be my privilege to conduct two seminars at the Abraham Geiger College in Berlin. I have also accepted the invitation to conduct High Holy Day services at the Reform synagogue in Bad Segeberg. Currently, the Bad Segeberg community worships and holds its educational and social activities in a beautiful building. But when the synagogue first started 13 years ago, the leaders knocked on the door of Ursula and Martin’s pastorate who welcomed their Jewish neighbors with open arms and provided the facilities for them to meet during their early years. Without Ursula and Martin’s enthusiastic cooperation, the Bad Segeberg synagogue might never have gotten off the ground. At that time Pastors Sieg and Pommerening took the initiative to establish an annual interfaith community event to show the public in Bad Segeberg how different religions live together peacefully. The purpose of this event is to prevent attempts to misuse the differences between religions to create hate or resentment. It was a joy for Vickie and me to participate in this Day of Harmony last year. A few months ago, Pastor Sieg suggested that I write a short (300 words) Quick Comment on the Torah portion of the coming Shabbat. She offered to translate each one into German so that German readers will have greater access to my ideas and will therefore be more eager to read the German edition of my book. We began this process at the end of Exodus and think that a side-by-side edition of English and German Torah commentaries might one day make another worthwhile book. What motivates Ursula to do all of these wonderful things? First she is a lover and keenly critical reader of the Hebrew Bible. She believes my thoughts and teachings about the Torah can deepen it’s understanding for Jews, Christians and everybody else. Second she hopes to help repair the broken relationship between and Jews and non-Jews in Germany and to ease the pain of Holocaust survivors. Finally she wants Germany to be a warm, welcoming place for people of all faiths to live together in harmony. If Pastor Sieg simply tended to the day-to-day needs of her very busy schedule, she would have more than enough to do. The fact that she eagerly and cheerfully works so hard to create a positive interfaith climate in Germany is truly remarkable. Ein früherer Abschnitt (Exodus 23, 4-5) erinnert uns daran, dass diese Pflicht sogar besteht, wenn der Besitzer des verloren gegangenen Tieres unser Feind ist. Die Tora ist unnachgiebig, wenn es darum geht, wie wir unsere Mitmenschen behandeln sollen, auch die, die wir nicht mögen. Eine Anekdote, die vom berühmten Gelehrten des 19. Jh. und Gründer der Musar – Bewegung. Yisroel Salanter erzählt wird, illustriert diese Idee: Es war der Abend des Yom Kippur, dem heiligsten Tag des Jahres. Die Synagoge war rappelvoll mit Gottesdienstbesuchern, die auf den Rabbi warteten, um die das Kol Nidre zu beten. Aber der Rabbi war nirgends zu finden. Das Fehlen des Rabbiners erschreckte die Gemeindeältesten, denn er kam immer sehr rechtzeitig vor Beginn des Gottesdienstes zur Synagoge. Ein eilig organisierter Suchtrupp suchte alles ab und fand den Rabbi schließlich. Er lenkte ein störrisches Kalb zurück in den Stall seines nicht-jüdischen Nachbarn. Somit erlaubt der die jüdischen Gesetze streng befolgende Rabbi Salanter keiner jüdischen Vorschrift, der Pflicht, einem Menschen zu helfen, zuvor zu kommen. Was für ein wunderbares Beispiel für uns alle! Musar – Der Begriff musar stammt aus den Proverbien (Sprüche Salomos) 1,2 und bedeutet: Disziplin. Die Beschäftigung damit wird gegenwärtig wieder populär. Kol Nidre – “Alle Schwüre”: ein Gebet, das nur einmal im Jahr zu Beginn der Gottesdienste zu Jom Kippur gesprochen wird. An earlier passage (Exodus 23: 4-5) reminds us that this obligation applies even if the owner of the lost animal is our enemy. The Torah is adamant in telling us how we must treat our fellow humans, even those we do not like. It was the Eve of Yom Kippur, the holiest day of the year. They synagogue was packed full of worshippers waiting for Rabbi Salanter to chant the Kol Nidre*. But the rabbi was nowhere to be found. The rabbi’s absence shocked the community elders because he always arrived at the synagogue well in advance of the time to begin worship. A hastily organized search party looked everywhere and finally found the rabbi, leading the stubborn calf of a gentile neighbor back into its stall. Though a strict observer of Jewish law Rabbi Salanter allowed no religious principles to come before the obligation to help other human beings. What a wonderful example for all of us today! Musar: The term musar is found in Proverbs 1:2. It means “discipline,” and its study is gaining new popularity today. Kol Nidre: “All Vows.” Prayer recited only once during the year to begin worship on Yom Kippur. As the High Holy Days draw near I am reading, as I have for each of the past forty-five years, Days of Awe, by Israel’s Nobel Prize-winning author, Shmuel Yosef Agnon. I read it each year because it is so rich that even after so many readings, I learn new things from it. As much as the book means to me, the person who gave it to me means more. It was a gift from my father’s first cousin Dr. Judith Kaplan, whom I first met when I came to Israel as a rabbinical student in July 1970. Another of my father’s cousins was to meet me at the airport, but there was a mix-up, and she was not there. I shall never forget the sinking feeling in my stomach as the crowded reception hall at Lod airport slowly emptied out leaving me just about the only one there. This was, of course, way before computers and cell phones revolutionized the way we communicate. I never felt more alone. Well, we would soon find out how this angel would react to a cousin she had never seen waking her up at three in the morning. I found the number and figured out how to use the strange Israeli public phones. My heart pounded as the phone rang. Those were the most comforting words I could imagine. I got into a taxi, gave the driver the address in Tel Aviv, and before long I was at her door. She and her husband Lazer greeted me with hugs, kisses and genuine joy. Lazer owned a thriving hardware store in the heart of Tel Aviv. Judith was a successful and busy dermatologist, but she was also a Jewish mother. Her first reaction after greeting me was, “You must be hungry; you have to eat.” And I did. Judith was excited that I was going to be a rabbi, but she herself was a secular Jew. Yet, I had heard and now I could see that she lived her life infused with the Jewish values of caring and compassion. And, she lived in the Jewish homeland. The next day, Judith and Lazer sent me on my way to Jerusalem. I visited often, and I loved her very much. A few months later, my father died, and I, heartbroken, went home for the funeral. I stayed home a month to be with my family. When I returned to Israel, Judith’s house was once again my first stop. The months passed, and when it was time for me to return to my studies in the United States, Judith gave me Days of Awe, by S. Y. Agnon. This year, Vickie and I are once again in Germany for the Days of Awe and two months thereafter. Days of Awe is the only hard copy book I brought with me. Oh, it was a soft copy when Judith gave it to me,with a cover price of $2.95 back in 1971, but it fell apart from continual re-readings. The $65 I paid to have it custom rebound with my name embossed on the cover is one of the most meaningful gifts I have ever given myself. 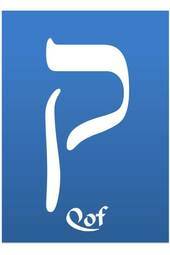 Assigning a numerical value to each Hebrew letter our Sages deduced that the word, Elul (Aleph, one. Lamed, thirty, Vov, 6 and Lamed, again, thirty) has the same numerical value, sixty-seven as the Hebrew word binah (Bet, two, Yod, ten, Nun, fifty and Hay, five) which means, “understanding.” Elul, then, becomes a special month to seek self-understanding. We each have talents and abilities, and our goal—particularly during this special month–is to ask ourselves, “What particular talents and abilities do I posses? How can I use them to benefit others? In the middle of the month of Elul my wife Vickie and I will travel to Germany as we did last year. There we will spend the Days of Awe (the period between Rosh Hashanah and Yom Kippur) and two months thereafter speaking and teaching in synagogues, churches and German schools. I will also offer two seminars at our seminary, the Abraham Geiger College in Berlin. We go with the hope that we may spread knowledge, understanding and appreciation of Jewish ideals and thought in a place that once tried to extirpate the practices, the wisdom and, indeed, the very gene pool of our people. Like my prized Talmud tractate I was born in 1946. I hope our presence in Germany will represent the message that the Munich Talmud conveys. In a place which once was ravaged by hatred and destruction, may we testify to the vitality and relevance of Jewish life and thought. When I was younger, I dreamed of doing more grandiose things, but I was not given the talent to cure cancer or bring about peace in the world. But I can help Jews and non-Jews understand and appreciate the meaning of the Torah’s lessons and the wisdom of our Jewish heritage. By using these talents productively I hope to tip the balance scales in my favor as I enter the New Year and contribute in a small way to making the world a better place. My son, Leo Fuchs, is principal of LWL (Learning without Limits) an elementary charter school that he founded in inner city Oakland, CA with the goal of going boys and girls from underprivileged backgrounds a better shot at meaningful and productive lives. I am very proud of him. His letter below was published in the San Frnacisco Examiner in response to disparaging remarks about Israel that appeared in a recent Examiner Op-ed essay. of our city’s population, including Vietnamese and Arabic. I also applaud the intention to carefully avoid putting curriculum and personnel in front of children that would disparage any ethnic group’s culture or homeland. If what has been reported in the press is true, that AROC leaders have made comments disparaging Israel, and AROC’s Executive Director is unapologetic and lacking understanding of the pain of these words, then surely this is not a group that should be working with the SFUSD’s children. As this conversation moves forward, I hope that we in the Bay Area can model for our children difficult conversations the way we hope our children will hold them as they grow up and take on the world’s great challenges. I hope we can model empathetic listening and the seeking of win-win solutions in problems small and large. Wie kann die Tora eine Sache sagen und wenige Sätze später das genaue Gegenteil? Die Lösung dieses großen Wiederspruches liegt darin, dass unser Bund mit Gott an Bedingungen geknüpft ist. Der Bund mit Gott stellte immer Bedingungen. Als unser Volk entstand versprach Gott Abraham und uns Schutz, Kinder, Dauerhaftigkeit als Volk und das Land Israel unter der Bedingung, dass wir ein Segen für andere sind (Genesis 12,2), Gottes Weisungen folgen (Genesis 17,1) und es praktizieren und unsere Kinder lehren, die Welt zu füllen mit “tzedakah u’mishpat, mit Rechtschaffenheit und Recht. Das sind immer noch die Bedingungen! “Es wird keine Bedürftigen unter euch geben”, wenn und nur wenn alle im Volk ver- und fürsorgend sind, sensibel für die Bedürfnisse anderer und freigiebig. Aber da das so leicht nicht verwirklicht sein wird, müssen wir, die wir die Verpflichtungen unseres Bundes ernst nehmen, aufmerksam sein und bereit unserer Herz und Hände zu öffnen für die Armen und Bedürftigen. Hoffentlich hören und beantworten wir heute diese Klageschreie: Solange wir nicht unserer Brüder und Schwestern Bewahrer werden, wird die gerechte und mitfühlende Gesellschaft, die Gott uns auffordert zu schaffen, nie mehr sein als eine sehnsüchtige Hoffnung. The link above allows you to hear the person I consider the greatest person in the history of professional sports. It is Jack Twyman giving the 2004 Basketball Hall of Fame induction speech for his teammate, the late Maurice Stokes. As a player Jack Twyman is deservedly in the Hall of Fame himself. He led the National Basketball Association is scoring and was among its all time leaders in field goal percentage. But in that elite company he was not the greatest player of all! In 1958, Twyman’s Cincinnati Royal’s teammate Maurice Stokes, a budding superstar (the great Bob Cousy described him as Karl Malone with finesse), suffered a severe injury after a fall during a game. His injuries were more than career-ending. Maurice Stokes remained a quadriplegic for twelve years needing round the clock care until his death in 1970. Mr. Twyman became Mr. Stokes’ legal guardian and assumed responsibility for all of his expenses. Mr. Twyman organized an annual Maurice Stokes benefit game played during the summer at Kutsher’s, a noted Catskill Mountain resort at the time. The game was a must on the schedule of every NBA star of the day. They came at their own expense to participate. Jack Twyman was white, and Maurice Stokes was black. That might not seem like such a big deal today, but in the 1950’s before the Civil Rights Movement and the work of Dr. Martin Luther King altered prevailing American attitudes about race, it was huge. Jack Twyman was a man of great humility. He often said that Maurice Stokes’ courage and determination did more for him than he did for Mr. Stokes. When I studied in Cincinnati at Hebrew Union College in the summer of 1968, I visited Mr. Stokes several times. He was a patient at Good Samaritan hospital, which is right next door to HUC. There I had the privilege of meeting Mr Twyman and telling him that he was my hero. Jewish tradition has always affirmed a belief in afterlife although we are very non-specific about the details. I personally believe—at the very least I fervently hope— that goodness is rewarded and true evildoers receive punishment. Yes, that IS what I believe and HOPE. At the same time I KNOW that we all live on-–for better or worse–-in the way our deeds affect those who live after us. Our tradition strongly affirms that, “the righteous among the gentiles receive the same reward in the world beyond this one as the righteous Jew (B. Sanhedrin 105A). Based on these ideas, Mr. Twyman a devout Roman Catholic, who died in 2012, stands on the highest rung of reward that heaven offers. By his side I see a whole and healthy Maurice Stokes with that huge smile on his face that was his trademark both before and AFTER his devastating injury. Perhaps the two engage n a vigorous game of one on one. Yes, that is what I hope! But I know that the selfless example of Jack Twyman continues to influence and inspire me. I hope you will watch his speech and that he will inspire you as well. How can the Torah say one thing and seven sentences later say the complete opposite? The resolution to this “Great Contradiction” lies in the conditional nature of our Covenant with God. The Covenant has always been conditional. Those are still the terms! “There will be no poor or needy” if and only if all people are giving, caring, sensitive to the needs of others and generous. But since that is not likely to happen, we who take our covenantal obligation seriously must be aware of and ready to open our hearts and our hands to the poor and needy. Hopefully we hear and respond to those plaintive cries today: Until we become our brothers’ and sisters’ keeper, the just caring and compassionate society that God called us to create will never to be more than a wistful hope.